Join the Museum of the City of New York and El Museo del Barrio for our fourth annual Uptown Bounce series of free summer block parties. 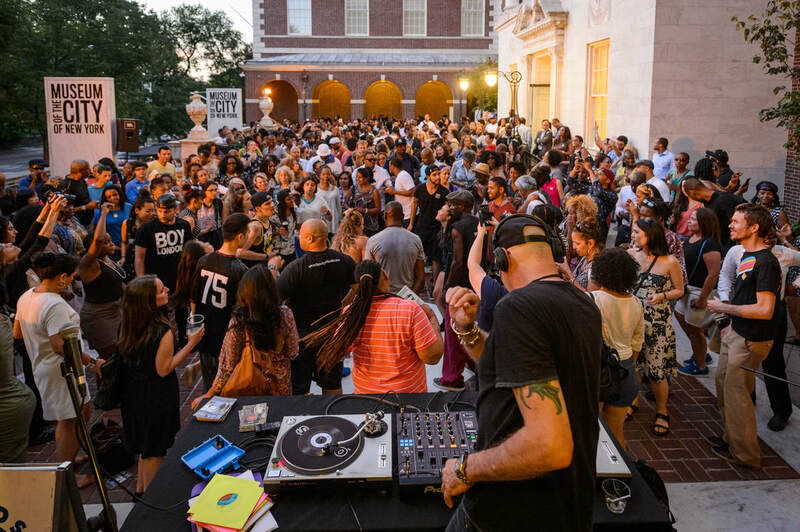 On four consecutive Wednesday evenings, dance to New York DJs, enjoy gallery talks, tours, art workshops, and savor summer drinks and local food. This program is presented in collaboration with El Museo Del Barrio and produced with Rebecca Lynn of Mobile Mondays! NYC 45's! Celebrate the decade when hair was big, fashion was bold, and pop superstars reigned in this tribute to late great musical legends Whitney Houston, Michael Jackson, David Bowie, and George Michael. DJ MISBEHAVIOUR of Mobile Mondays! NYC 45's and BOOGIE BLIND of X-Ecutioners will spin a mashup of all of your favorite 80s classics from hip-hop jams to dancefloor hits and there will be an all-levels dance lesson with choreographer KAREN NG featuring the moves that defined the era. Hundreds gather at MCNY for the block party series reviving dance and disco culture in East Harlem every summer! ​Karen teaches a 30 minute class to the public, assisted by dancers Molly Electro and Shira Eden. 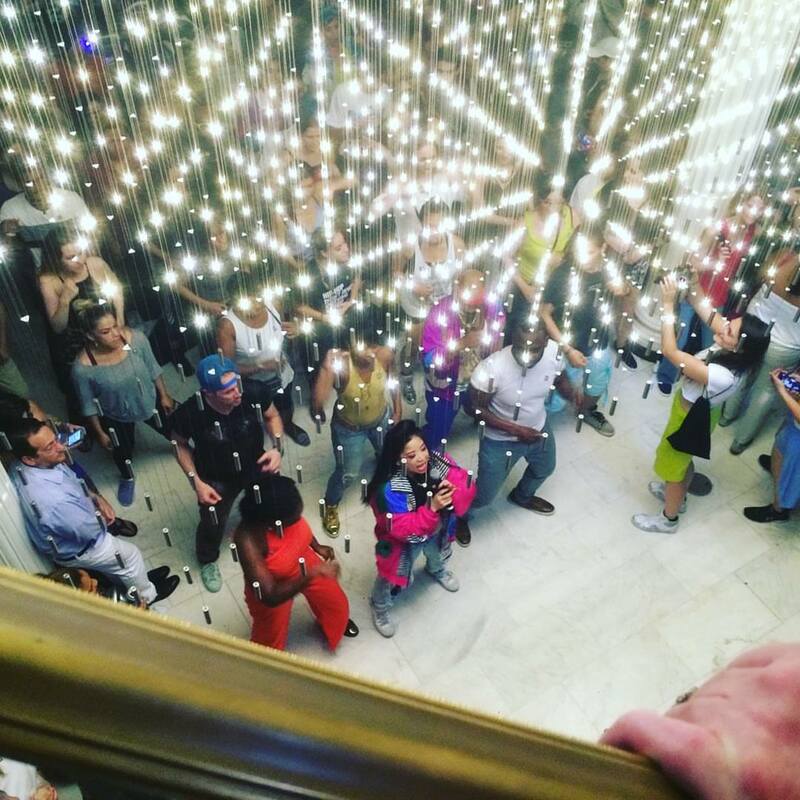 Shout out to H+ Dance Conservatory and our friends for representing NYC Dance community! for filming the performance and teaching segments.